Covered front to back. Our six-gripper front and 30 ½” back length (in size medium) work a double shift to keep you clean. A pocketless design makes sure food stays in the kitchen and a squared bottom can be tucked in or worn out. 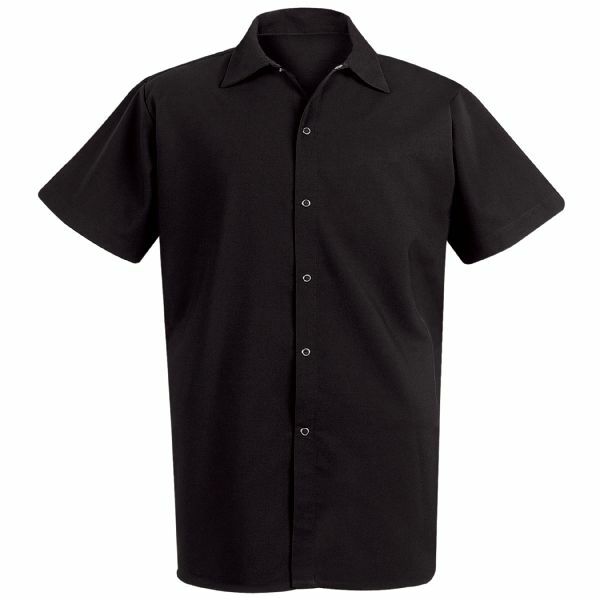 Choose from 100% spun polyester or a poly/cotton blend.